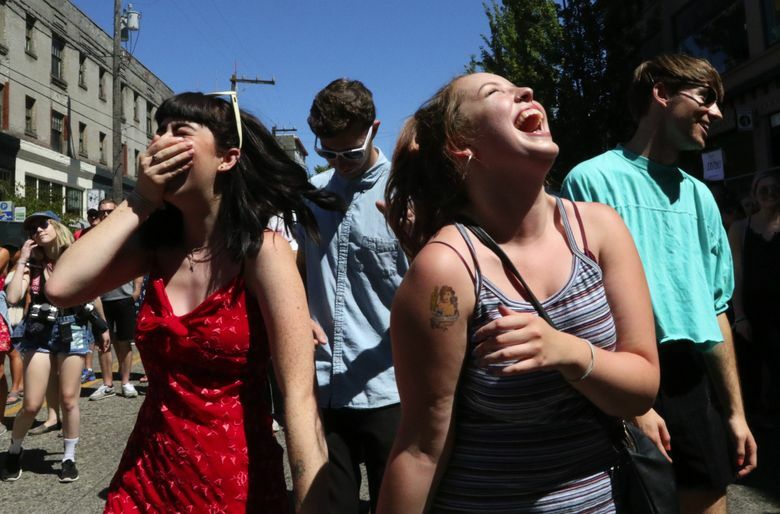 The annual summer bash brings roughly 100 artists to the Pike-Pine corridor. Don't miss these standouts. With the 22nd annual Capitol Hill Block Party taking over the Pike-Pine corridor this weekend, July 20-22, Seattle’s longtime gay and creative enclave will teem with more than 100 artists playing six stages. Here are five of the mainstage acts you need to know. Equally capable of rocking DIY warehouse parties and drowsy headphone sessions, this NYC-based producer/DJ/singer blends house music, hip-hop and intimate bedroom pop, with murmuring vocals alternately sung in Korean and English. Since catching fire with last year’s hypnotic “EP2,” the real-life Kathy Lee has helped forge a path for Asian-American women in the white-dude-dominated dance-music scene — much as Seattle’s Chong the Nomad (4 p.m. Sunday, Vera stage) is doing locally. After selling out Neumos this spring, the Canadian indie-pop troupe led by witty frontwoman Molly Rankin returns to a larger Seattle stage, still touring on last year’s “Antisocialites.” The quartet’s fusion of dream-pop and sun-drenched C86 jangle makes Alvvays a perfect pre-dusk mainstage pick. Prolific hip-hop collective and self-proclaimed boy band went from buzzy to embattled after booting member Ameer Vann over sexual-assault allegations this spring, leading to an abrupt cancellation of their U.S. tour. With their headlining slot, Block Party is one of the few American dates the inclusive rap crew didn’t clear from its calendar. Expect a blur of hair and lots of guitar when the head-banging Alicia Bognanno leads her potent live band through thunderous scream-alongs on the mainstage. The Sub Pop signees merge angsty ’90s alt-rock and punk energy, leaving enough white space to let Bognanno’s pitch-perfect rasp tear through the speakers.